Short and Sweet. This shoulder veil is a simple 2 tier wedding veil that can be worn as a short and chic veil right on top of the head; or it can be worn lower, and have a bit more of a classic look. 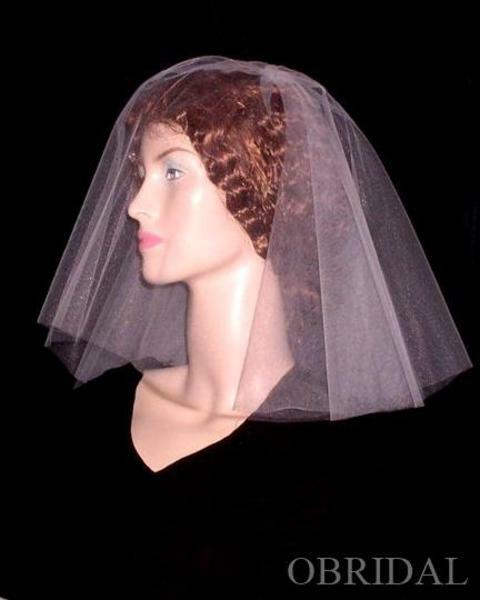 This short veil has 2 Tiers and features our Center Gathered cut. So versatile - it just may be the perfect finishing touch for you!